Atlantic Concrete Distributor Booms are a good alternative on construction sites where concrete placing by truck-mounted concrete pumps or hydraulic placing booms have limitations and weight restrictions. 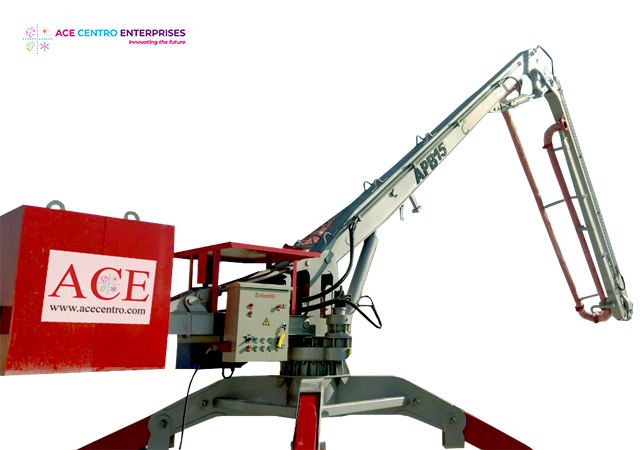 Atlantic Distributor Booms are ideal for pouring concrete for large areas and can be easily maneuvered using a crane. Compact structure and highly portable. 2 arms with 360 degree swing. Modular design of components for quick installation and easy maintenance.